Thinning hair and male pattern baldness eventually affect a large percentage of men. While many choose to fight this process using treatments such as minoxydyl or finasteride, others have found ways to live with thinning hair and still look their best. There are several choices of hairstyles for balding men. One of the easiest ways to cut and styled hair and hide them in patches is to have the hair cut in layers. It is usually best to start with a shortcut on the sides and back layering into a longer length on top. This could allow us the man to comb the hair back or over and cover a thinning area. This style works especially well for men thinning at the crown of the head. Leaving the hair longer at the very top and partying in the middle can cover a receding hairline at the temples. David Beckham buzz cut hairstyle. One of the most classic styles whether a man has thinning hair or not is a traditional buzz cut. 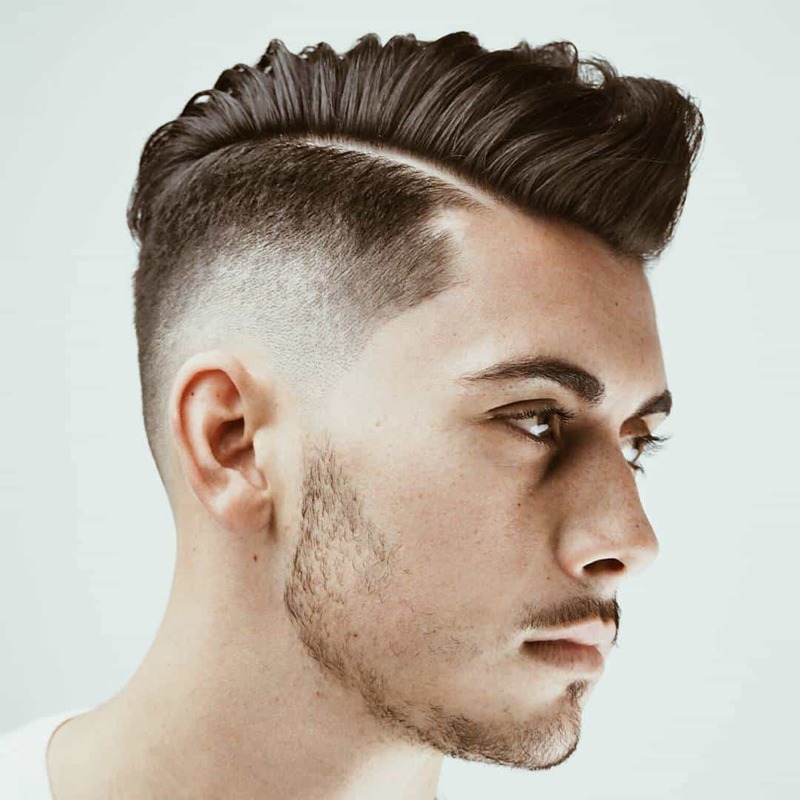 While this hairstyle does not cover a receding hairline, it does take advantage of the shape of a man’s head and give him a clean-cut professional appearance. This style works especially well for men with a high level of self-confidence. Finally, for those who choose to accept and embrace their thinning hairline, there is always the option of going completely bald. Many famous men, rather than fight their thinning hair, have chosen to simply shave their heads. However, it is important to take into consideration the overall shape of one’s head before making the decision this extreme. In many cases, facial hair, such as a goatee or a full beard, can still be worn to improve the overall appear. In today’s world, there are many stars and celebrities who are considered cool. There are also many who are not considered to be cool at all. It would seem that hair has little to do with how celebrities are viewed. After all some of the coolest, most sought-after celebrities have no hair at all. What is it that makes this guy is cool? Sports legends are almost always considered cool. Two examples that come to mind are Magic Johnson and Shaquille O’Neal. Both are or were exceptional professional basketball players. But their lives did not end on the court. Shaq is continuing to work on starting an acting career as well as possibly breaking into music. Since leaving the NBA, Magic Johnson has started his own business focused on urban development and now has his own nonprofit charitable organization. One does not have to be a sport legend to be both bald and cool. Seal is quite possibly one of the best musicians and songwriters in the world. He is a very cool guy who happens to be bald. Some actors also make the grade for being both bald and cool. Michael Chiklis, Patrick Stewart, Yul Brynner, and Bruce Willis come readily to mind when thinking about cool bald guys. All of these men have played very strong characters in their various roles on screen, and seemed to be great guys off screen. Having a full head of hair is nice, but should not be the feature that defines a man. Losing hair is something that happens to almost all men at some point. Embracing this and going completely bald while maintaining a positive attitude and continuing to make contributions to the world at large are what truly define the term cool bald guys. I like David Beckham's style. His hair style is always awesome. Hey, please do a post on Casey James' curly hairstyle, the blonde guy from the current American Idol season. Thanks. You might be definately proud of your put up as it is best to be. It is very properly delivered. appreciation for the time you put into this. I’ll dig and attempt to find some complimenting details to add. Thanks again. How do I @57 do a virtual look for a hair style with reseading hairline….. took pic with web cam but unable to find site to put me in a style .. Trying to find easy ways to stay away from balding? Staying healthy by running takes away toxins that are bad for your hair. Eating the right foods will increase hair growth as hair follicles shall be better delivered. Last of all, consider paying for a hair thinning treatment if you want a more rapid outcome.